Making the decision to hire a divorce lawyer is a scary proposition for many people. When you are trying to resolve things with your spouse during a legal separation, it may seem like the issues aren’t that complicated, and since the two of you are working together amicably, why not save the money on hiring a lawyer? This makes a lot of sense, and for many couples, especially those of you with no children or real estate, and a short-term marriage, this is a great way to resolve your case and save yourself some money in the process. But for other people who have been married longer, where there is a distinct income differential between the two of you, (maybe one of you was a stay at home parent), and you have built up some wealth as a couple, than hiring a lawyer to help you is a smart investment. Today I wanted to touch on 5 reasons why you may want to hire a divorce lawyer to help you to negotiate your divorce settlement. One of the most contentious issues that we deal with in a family law case is the amount and duration of spousal support payments, also known as alimony. If you are financially dependent on your spouse, then you have two options after you separate. You will either need to get a job to cover your expenses, or you will rely on support payments from your spouse. For clients that are unable to work because of their age, the amount of time they have been out of the workforce, or other reasons, then alimony is necessary to help them pay the bills after they separate and divorce. The difference in a several hundred, or ever a thousand dollars a month over the course of several years can add up to a tremendous amount of money and will more than offset the investment in hiring a lawyer. On the flip side, if you are being asked to pay alimony, then you probably want to pay the least amount possible for the shortest period of time. In my experience, clients who are being asked to pay alimony hate the thought of writing a check out to their soon-to-be ex-spouse each month. If you find yourself on the receiving end of an alimony claim, talking to a lawyer before agreeing to a payment that will be unsustainable in the long-term is a smart idea. Several years ago I was working with a young woman who had received a large inheritance from a relative. She and her former husband were attempting to divide up their assets and she included this inheritance as part of their overall marital estate. She even went so far as to transfer a portion of this money to her ex-husband. When she came to meet with me, I explained to her that her inheritance is considered her separate property and that her husband was not entitled to any of it. Fortunately, we were able to recover this money for her before finalizing her divorce settlement. But had she gone without hiring a lawyer it would have been a very expensive mistake on her part. In many other cases, whenever there are substantial assets at play, you should hire a lawyer to help you identify, classify and value all marital assets so that they can be properly evaluated. Although this seems simple, it is a complicated process that requires the help of a lawyer to make sure it is done properly. Whenever one or both spouses own a business, things can get tricky. Businesses are one of the most common places where a spouse can hide assets and income. If your spouse owns a business that you do not participate in, you may need a lawyer to help you to obtain and review the business bank accounts, look at the tax returns, hire a business appraiser, and help you to determine what the business is worth. I’ve worked with clients who have drastically overvalued the amount of their spouse’s business, as well as others who significantly undervalued what a family business is worth. 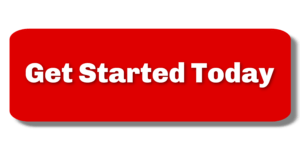 Having a lawyer on your side can significantly help in these situations. If your spouse has hired a lawyer to draft a separation agreement, you should immediately beware. Attorney’s are hired to represent one person, their client. If a lawyer drafts an agreement, you can be sure that it contains language that is detrimental to you and beneficial to their client. In all likelihood, this agreement is tremendously one-sided. Do not under any circumstances sign a separation agreement drafted by your spouse’s lawyer until you have had the opportunity to consult with your own lawyer about the content of the agreement. And keep in mind, it may cost you several thousand dollars to have a lawyer review and edit this agreement. But the cost will be well worth it if they are able to help you to negotiate a better deal as a result. As you can see, there are a number of reasons why you may want to consider hiring a divorce lawyer to assist with your case. The way to approach this is not to look at hiring a lawyer as a sunk cost that you won’t get back. Rather, you should consider whether you will receive a positive return on your investment. For the vast majority of family law clients, the positive financial and emotional benefits that come from hiring a lawyer will far outweigh any negative misconceptions that you may have. If you can afford to hire a lawyer, and there are substantial assets and support payments in play, then you most definitely should. 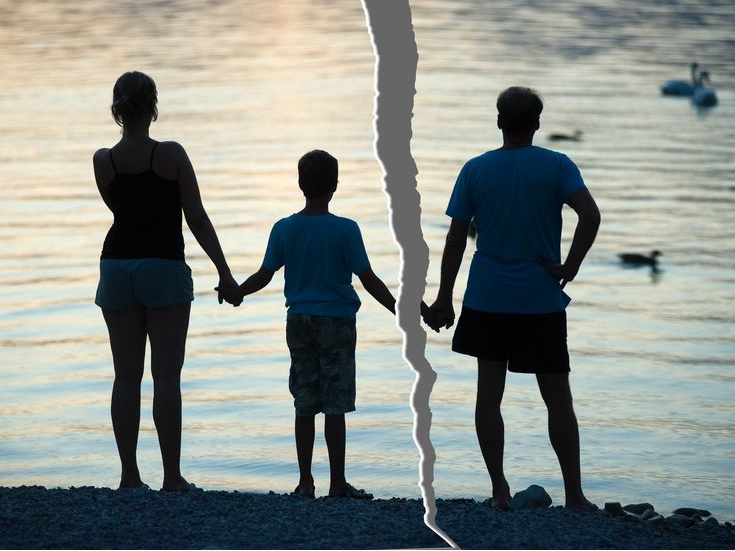 If you would like to contact our office to schedule a divorce assessment, either call us at 919-883-4861 or visit this link. 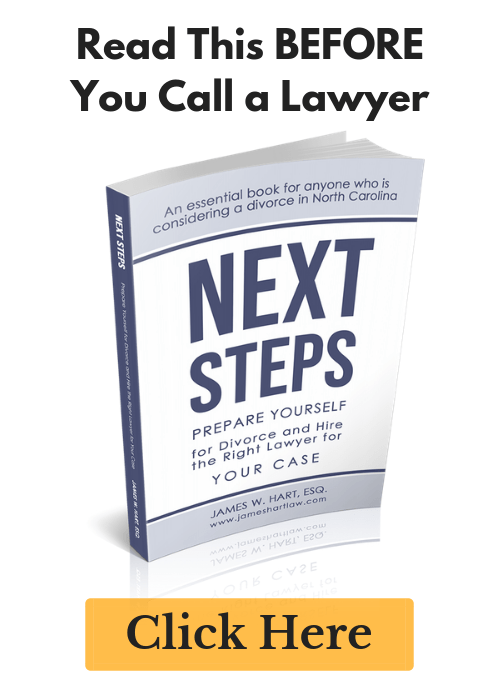 Previous Post: « What is Divorce Mediation in North Carolina?